Taking some books to the beach this summer? 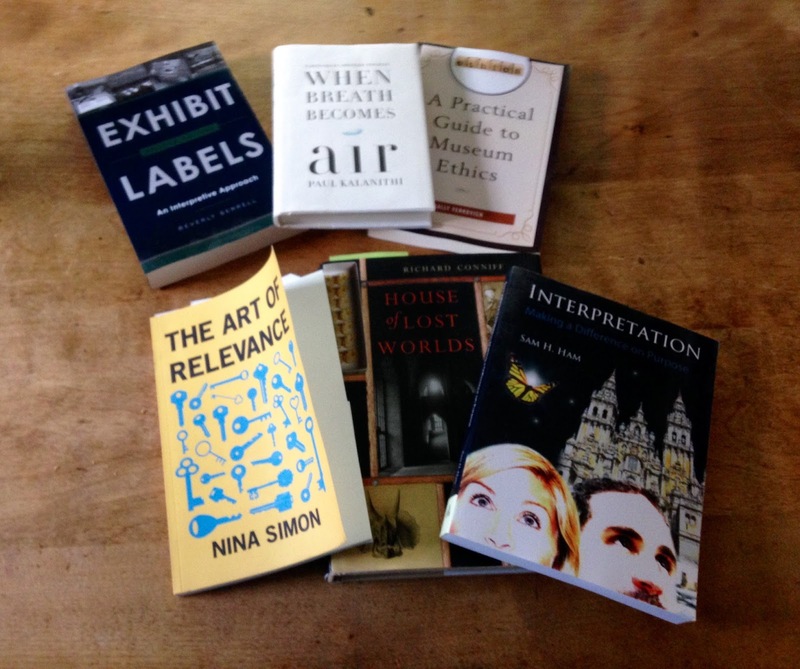 Why not pack a few museum-related reads into your suitcase? The Art of Relevance by Nina Simon. Nina Simon's new book explores how mission-driven organizations can matter more to more people. It is an enjoyable read filled with great examples and a wonderful central analogy that got me thinking more about what "relevance" means for my own professional practice. Jeanne Vergeront has written a thoughtful review and consideration of the book on her Museum Notes blog. Exhibit Labels: An Interpretive Approach by Beverly Serrell. Beverly follows up her essential first edition on the entire process of creating exhibit labels with an even better second edition! Here's an ExhibiTricks interview that I did with Beverly when her book first came out. Interpretation. Making a Difference on Purpose by Sam H. Ham. I wish I had this book when I started my first museum job as a living history interpreter! Human-to-human interaction and interpretation inside a cultural space can provide some of the most powerful (or horrible!) experiences for museum visitors. Author Ham brings practical information to museum workers interested in interpretation, but he also shares what research tells us about how people process information. A Practical Guide to Museum Ethics by Sally Yerkovich. Many museum workers (and boards!) might like to gloss over the need for more critical thinking about museum ethics. However, thinking about how to avoid potential ethical issues before they happen seems like a much better approach than trying to sort things out in the midst of an institutional crisis. Sally shares her information through a series of case studies and offers approaches to resolving (and hopefully avoiding) such issues. Sally also shared information about her work at the Institute of Museum Ethics and her impetus for writing a guide to museum ethics in this recent ExhibiTricks interview. House of Lost Worlds by Richard Conniff. Author Conniff puts together an enjoyable history of the Yale Peabody Museum of Natural History. From its unlikely founding 150 years ago, the story is filled with both colorful characters and great moments in science centered around the amazing New Haven institution. When Breath Becomes Air by Paul Kalanithi. Ok, it's not a museum book! But this powerful memoir allows us to draw important lessons about life from Dr. Kalanithi's tragic death. Highly recommended. Read any good books lately? Share your suggestions in the Comments Section below.